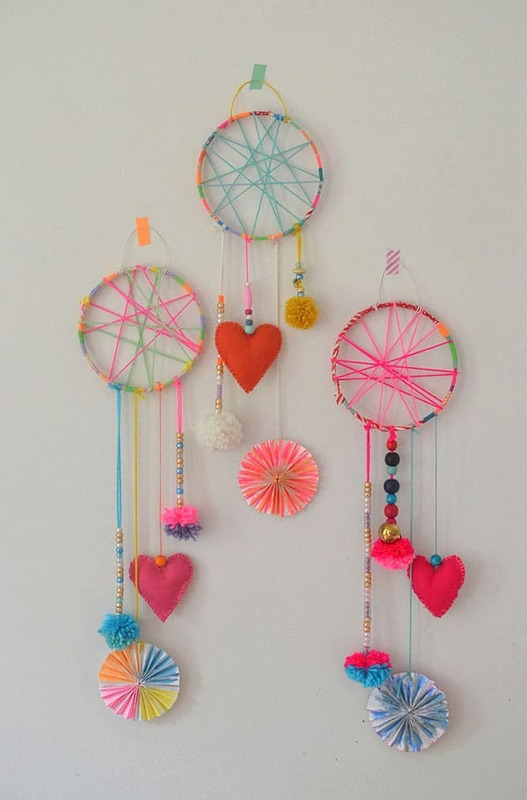 If your child is having trouble sleeping you are going to love these tutorials which show you how to make a dreamcatcher! We even have some they can make themselves. I was given a small dreamcatcher as a gift many years ago but it’s only recently I learned about their history and why people hang dreamcatchers above their beds while they sleep. The woven design in the middle of the hoop represents a spider’s web, which catches the bad thoughts and spirits and keeps them from the mind of the person sleeping underneath. 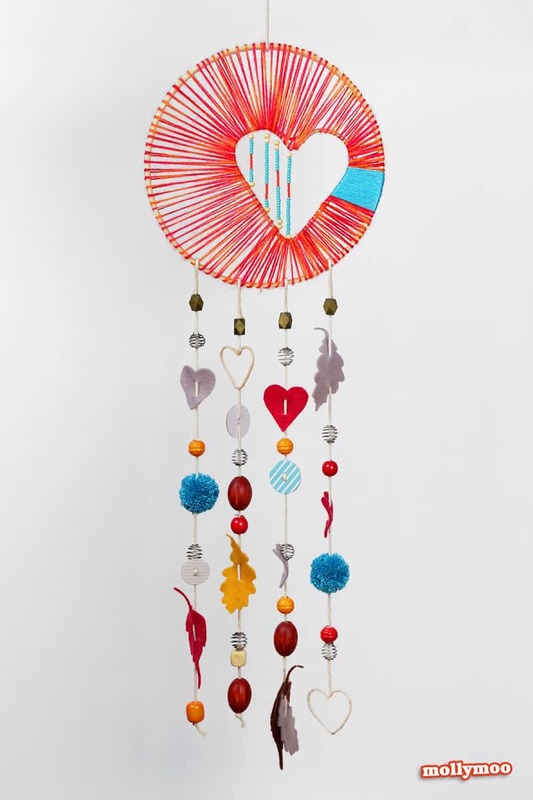 The feathers that hang from the catcher are a soft ladder for the dreams to glide down into the dreamer’s mind. 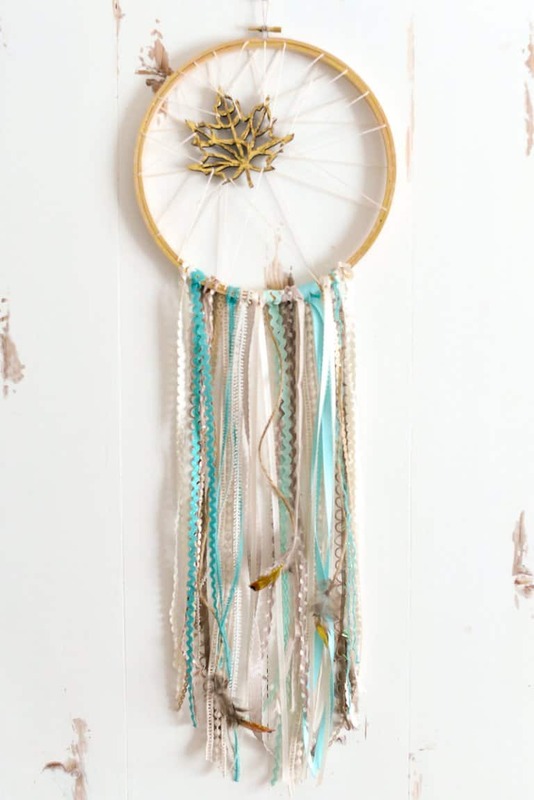 If your child is having trouble sleeping and suffering from bad dreams you can either buy a genuine Native American dreamcatcher to hang above their bed, or spend some quality time together making a simple dreamcatcher of your own. 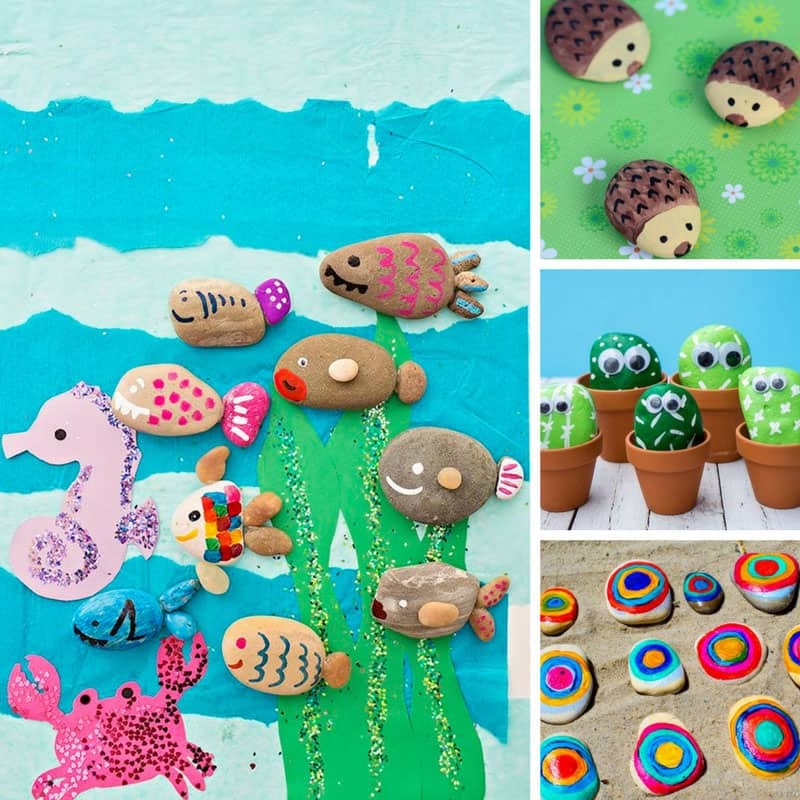 The dreamcatcher tutorials I’m sharing with you today have been created by some super talented people, so be sure to click through to see exactly how they made them and check out the rest of their crafty projects while you’re visiting! 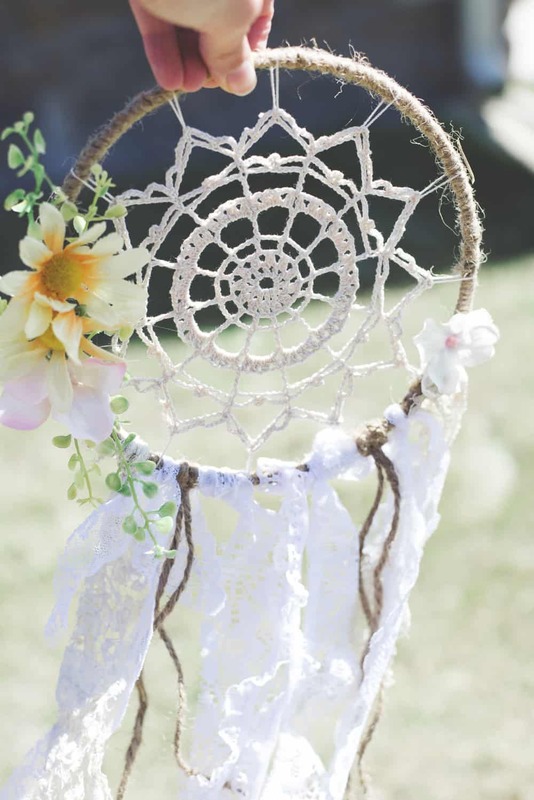 If you want to make a very traditional looking dreamcatcher with a woven web then check out this video which takes you through everything step by step. I found this video really easy to follow and the finished dreamcatcher is stunning. 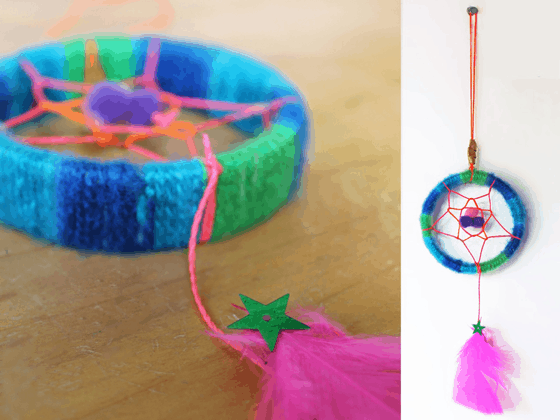 In this project Missy and her mom show you how to make a mini dreamcatcher. There’s a video you can follow along with as well as a step-by-step tutorial you can print out. 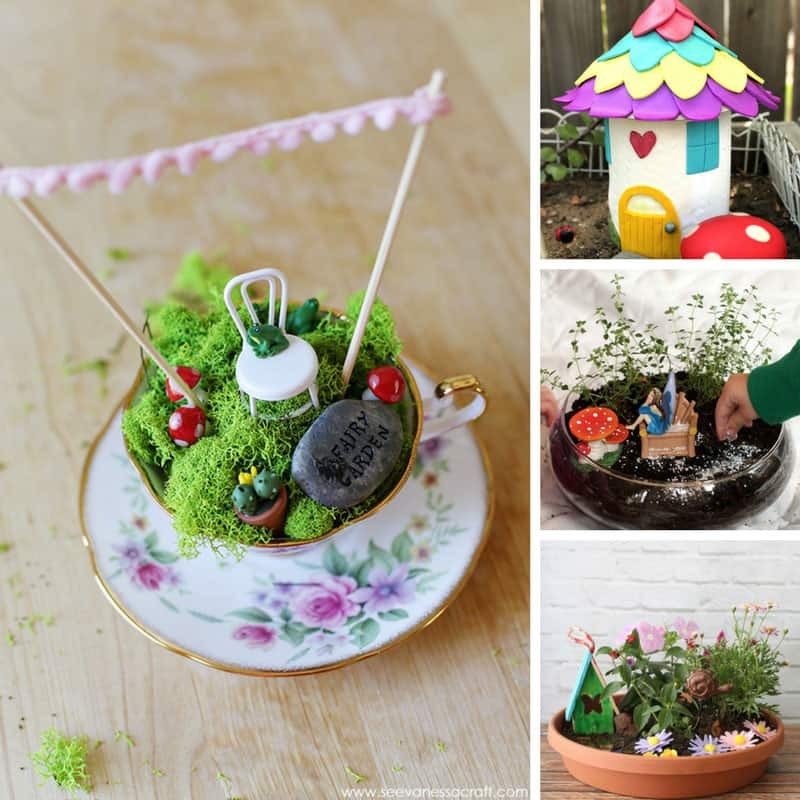 This would be a great craft activity for a group of children to do at school or during a sleepover! 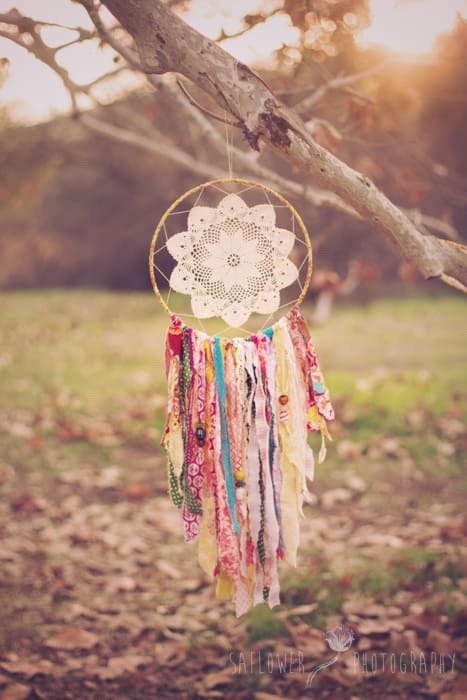 How beautiful is this crochet dreamcatcher? It’s so elegant especially with the lace hanging from the bottom and the pretty spring flowers. I think this would make a beautiful wedding gift! If you’ve never crocheted with crochet thread before you might need to a few goes to master the pattern but Meg takes you through it step by step. It really is a modern twist on tradition and I think it would look amazing hanging in a baby’s nursery. 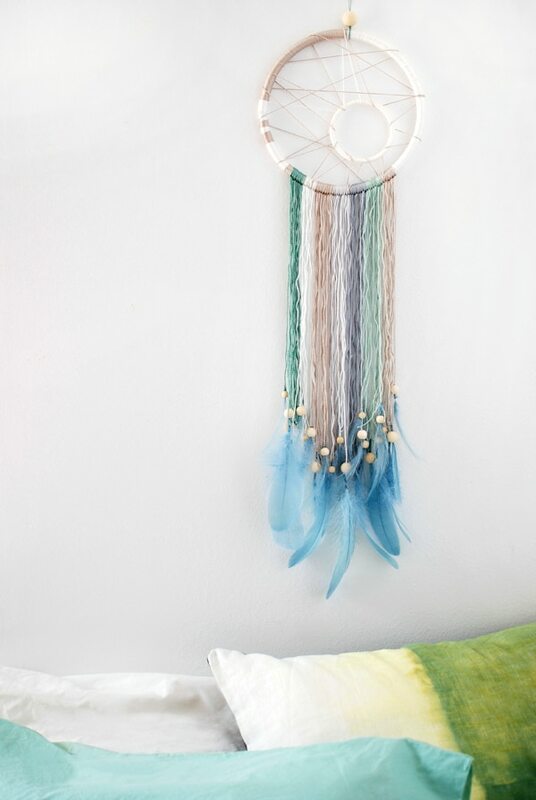 There’s a real bohemian vibe to this dream catcher and it’s a good choice for you if you’re worried about the weaving element, because there is no weaving involved! I really like the way Lisa has used two different colours to weave her web for this step by step project and the circle in the middle gives it a very unique look. 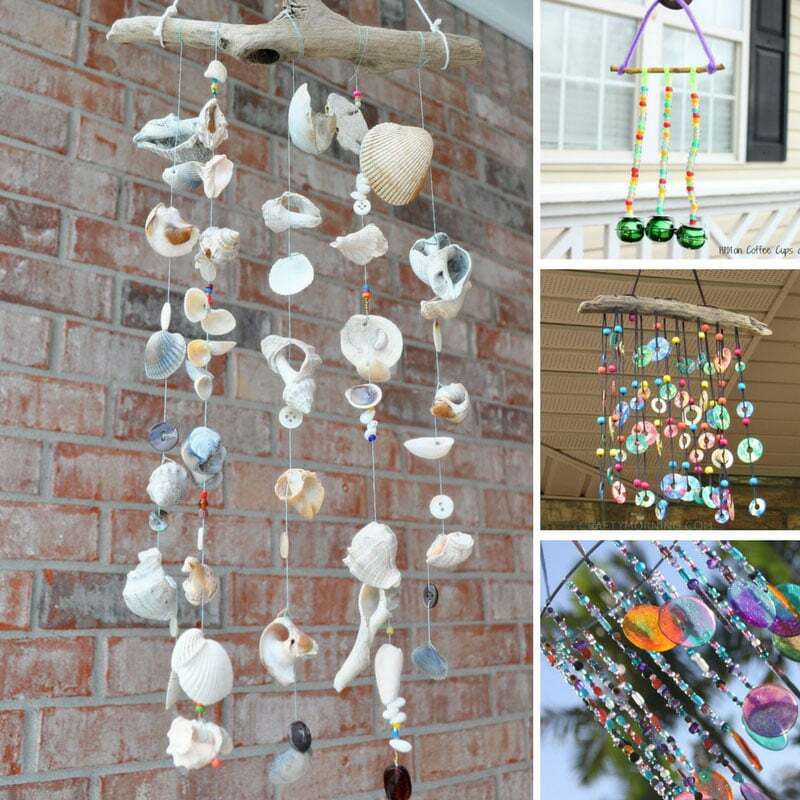 If your child wants to make their own dream catcher then this is the project for you. Barbara did this project at art camp and it took the kids about three hours to craft these beautiful catchers. 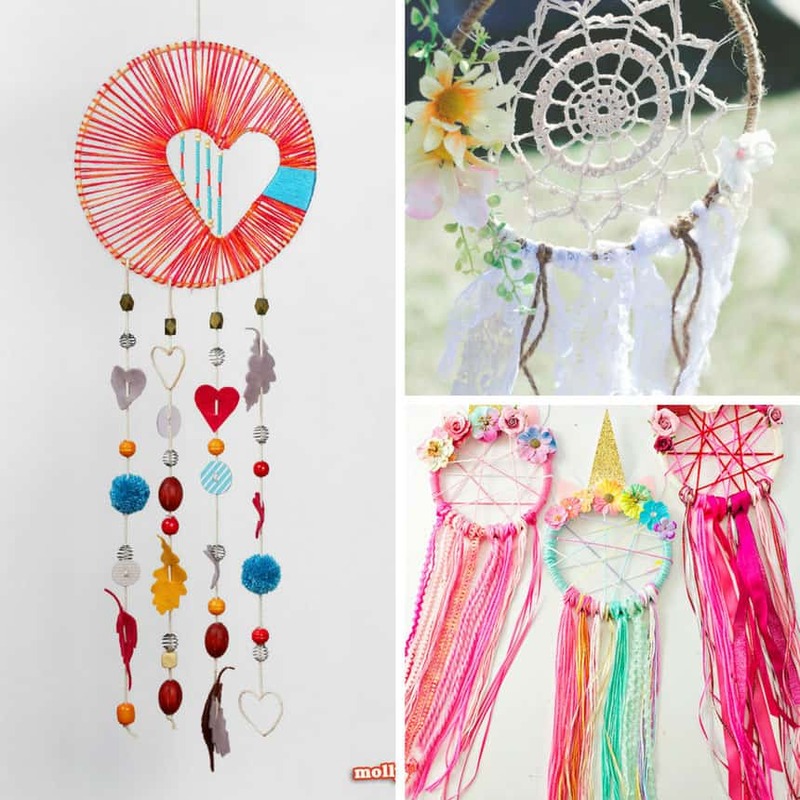 Let’s finish up our collection of dreamcatcher tutorials with these beautiful designs from Agnes! 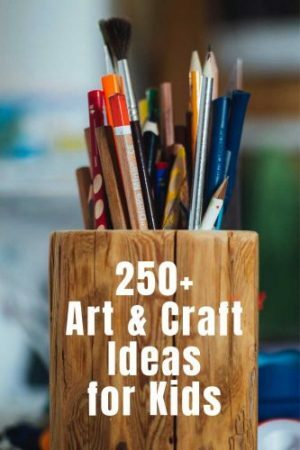 If your child loves everything unicorn then this is the project choice for them and it is simple enough for them to make themselves. If you scroll right down to the end of Agnes’ post she also has a video so you can see how it’s done. 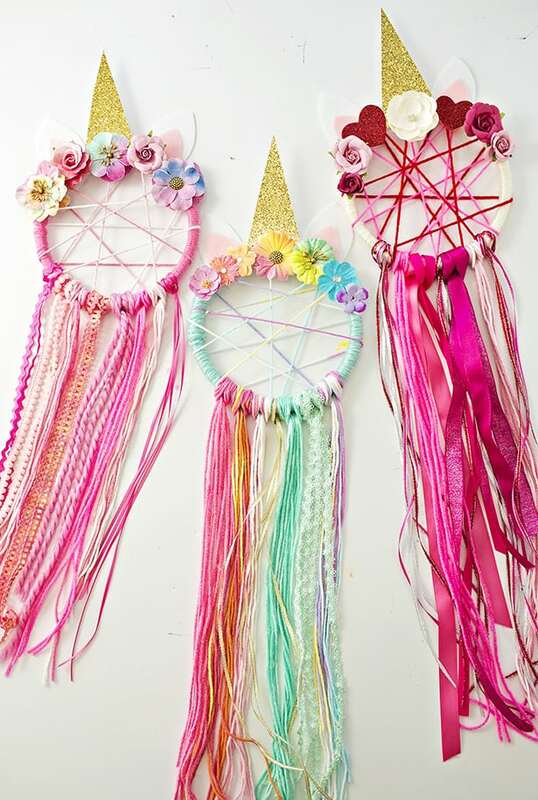 This project would be the perfect choice for a unicorn themed sleepover, especially if you served some of these unicorn recipes too!